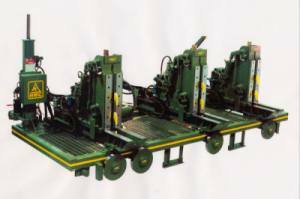 HMC's core products include Debarkers, Carriages, Carriage Drives, Trimmers, Waste Conveyors, Lumber Handling Equipment, Infeed and Outfeed to Band Resaws, Chain Turners, Metal Detectors, Tilt Hoists, and Band Mills. We also have some Used/Rebuilt Products and other lumber products for sale. Need financing help? We have that too. Questions? Please call or email us at any time.